uses of organic foods including fresh greens, vegetables, fruits. 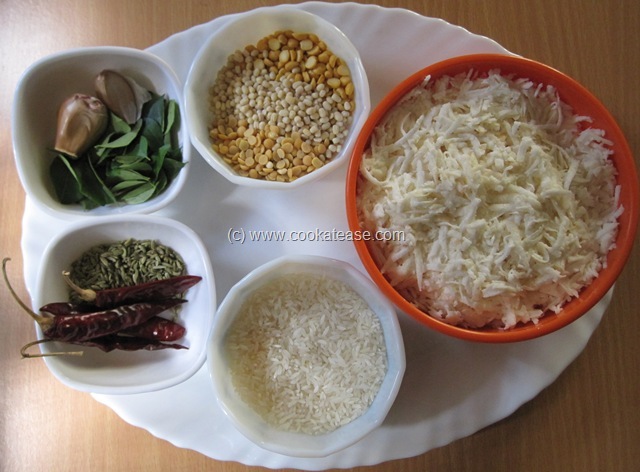 availability of traditional rice, millets. pesticides used in our food and the side effects caused. 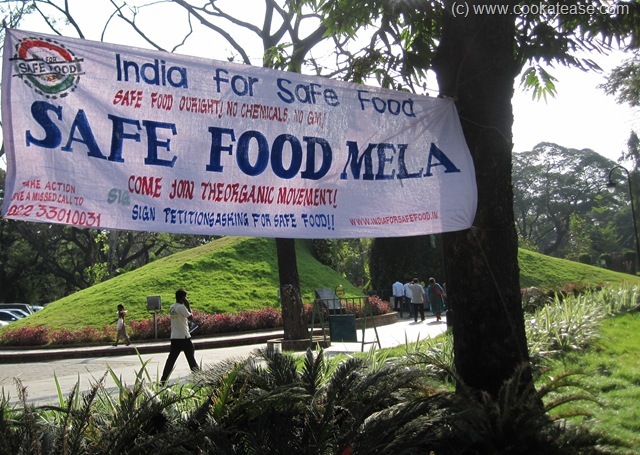 Some of the Safe Food campaigners are: India for Safe Food, Safe Food Alliance, ASHA (Alliance for Sustainable & Holistic Agriculture). Here are some photographs of the Safe Food Mela. 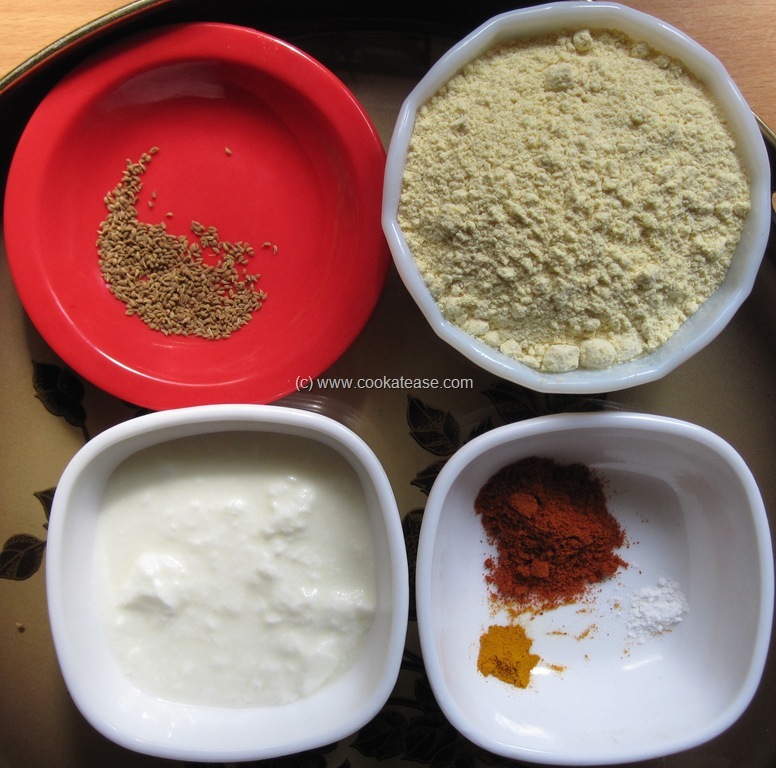 Thakkali Thokku is a typical Indian pickle/chutney/spread. It goes well with rice, roti, idli, dosa, bread and so on. As a spread this suits to all Indian food as a side dish. 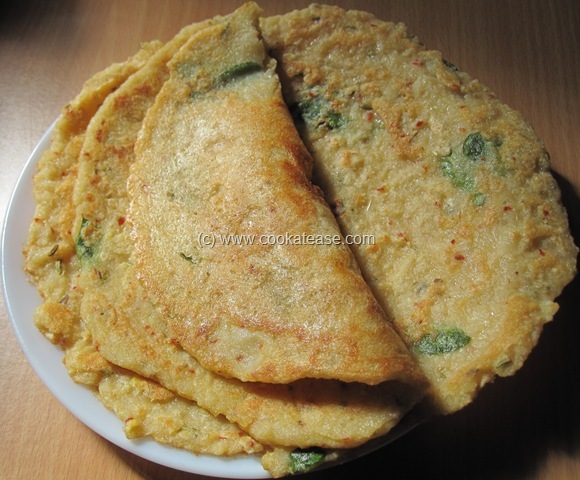 I prepare this mostly when tomatoes are available at lesser price during the season. 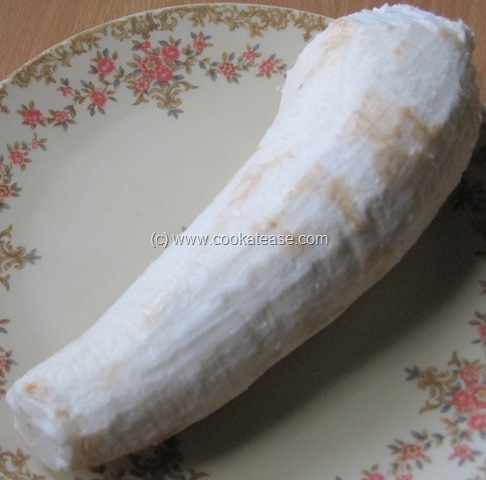 This can be preserved in refrigerator for 2 to 3 weeks. Without refrigeration this has to be consumed within a week. 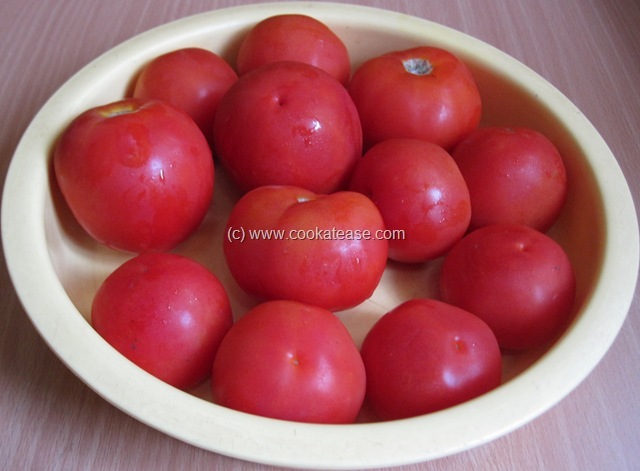 Tomato is known as Thakkali (தக்காளி) in Tamil. Custard is a simple, easy to prepare dessert. The fruit custard is a less-fat, milk based healthy dessert. 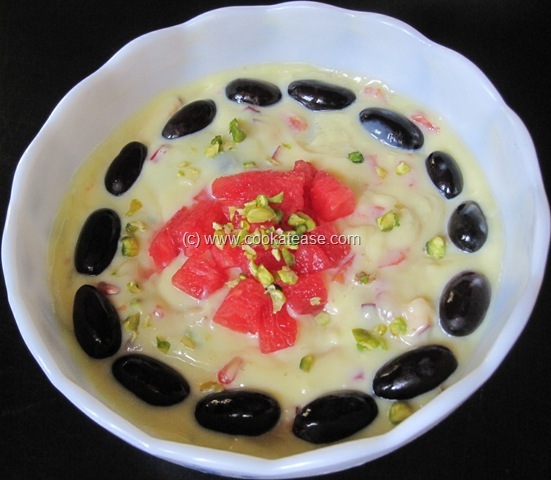 It tastes divine in summer, as it is chilled and served. 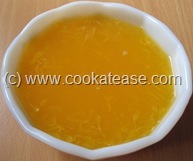 Everyone including children likes this custard. 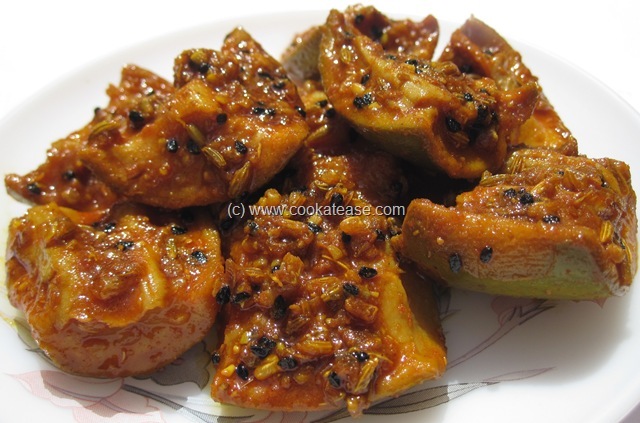 Pickle is a necessary side dish in all the Indian meals. 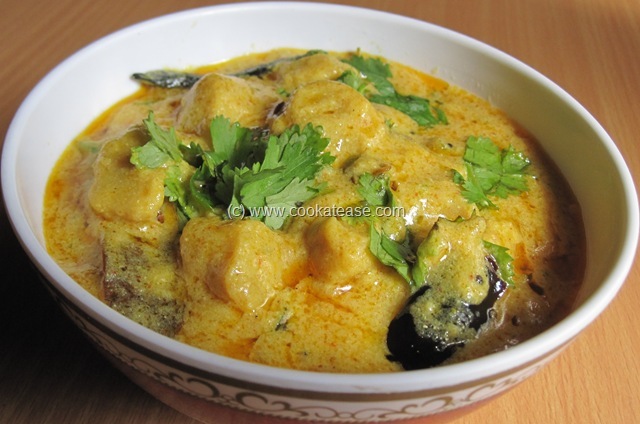 Indian Cuisine is very famous for its spicy hot pickles with variety of vegetables. These pickles differ in taste from region to region with unique taste and flavor. 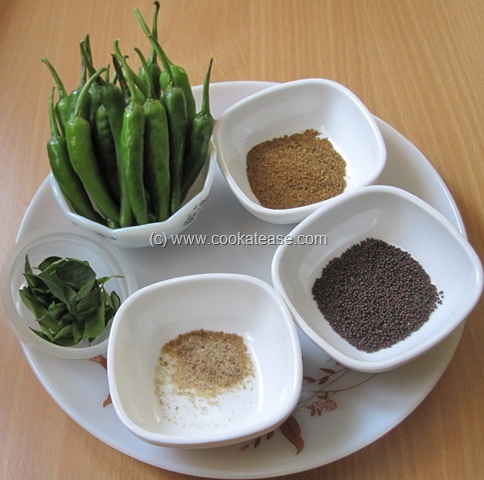 South Indian pickle tastes very different from a north Indian pickle. Every summer almost all homes are busy in preparing these pickles. 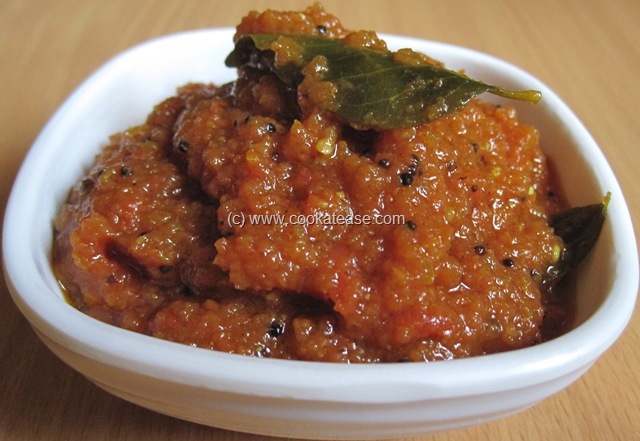 We love the north Indian version of mango pickles for their nice flavor and mustard oil taste. This Aam ka Achar – North Indian Green Mango Pickle/Maangai Oorukai needs to be prepared in two phases (Preparation and Seasoning). 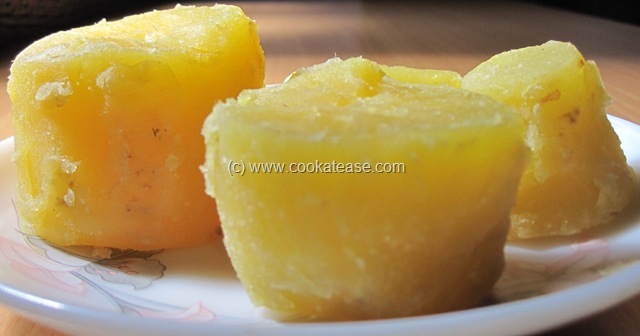 Mango is known as Manngai (மாங்காய்) in Tamil and as Aam in Hindi. 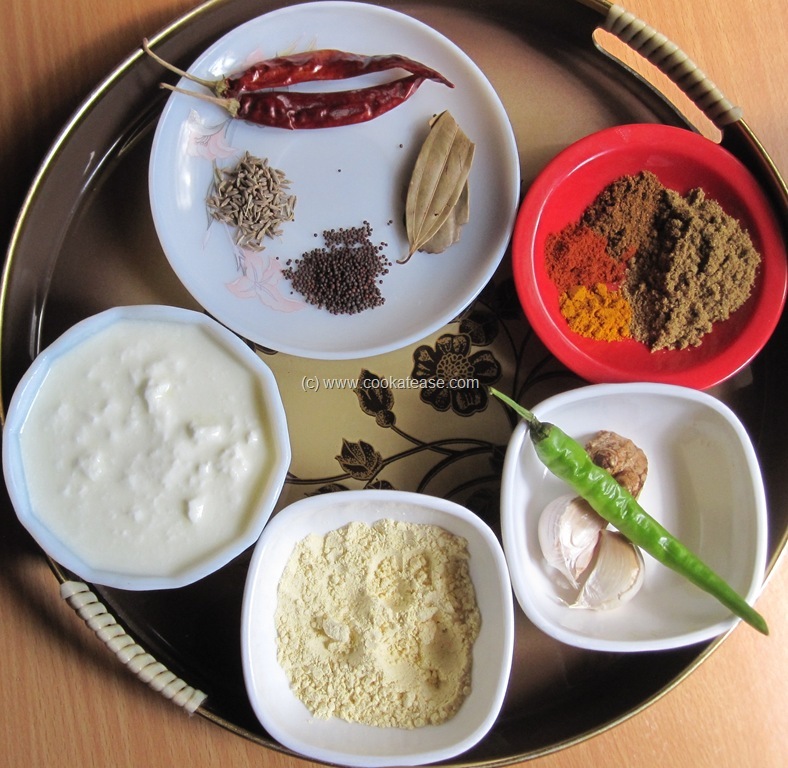 Pickle is known as Oorukai/urugai (ஊறுகாய்) in Tamil and as Achar in Hindi. 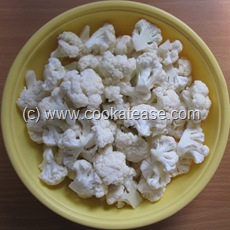 Cauliflower and potato are the best combo to make a side dish more popular among guests. 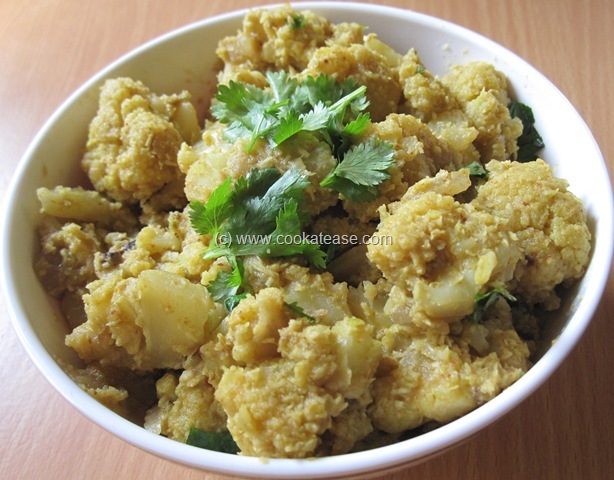 Here is Spicy Cauliflower and Potato (Aloo Gobi) Fry, a different stir fry to match as a side dish to all Indian food. 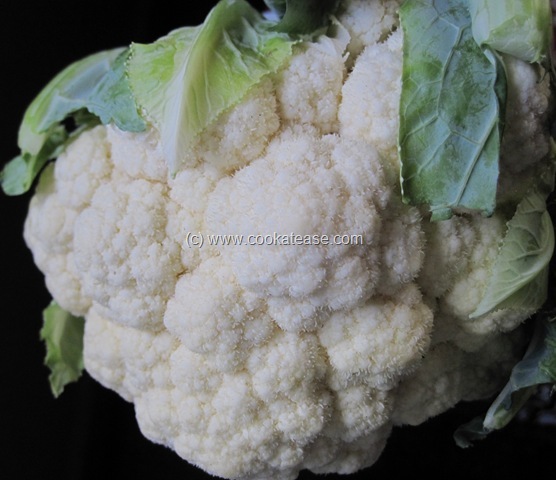 Cauliflower is known as ‘phool gobi’ and potato is known as ‘aloo’ in Hindi. I used cauliflower florets more, to make this dish tasty and attractive. 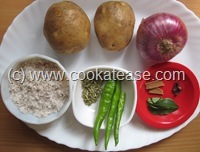 Sweet potato is a starchy, sweet root vegetable used in many cuisines. 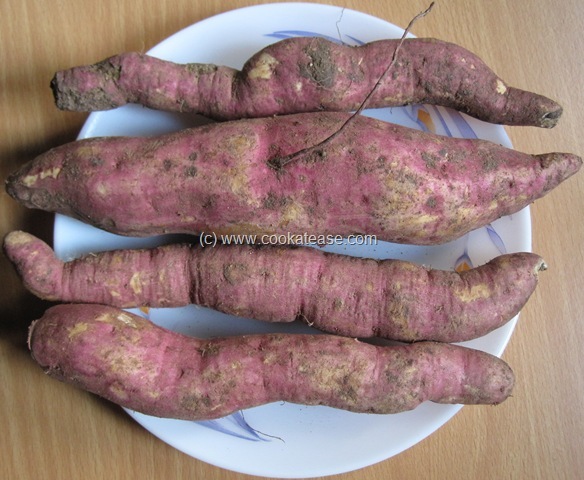 The sweet potato looks pink outside and slightly yellow/white inside. 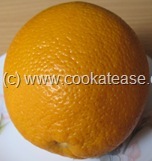 It contains beta carotene and some minerals. 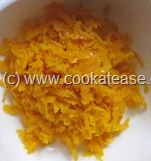 Sweet potato can be boiled and served as snack. As it tastes sweet, children like it very much. Sweet potato is known as ‘Sarkarai Valli Kizhangu’ (சர்க்கரை வள்ளி கிழங்கு) in Tamil and as ‘Shakarkand’ in Hindi. We know that corn can be used to produce automobile fuel ethanol. Now Tata Motors, India’s largest automobile producer is working on using cornstarch to make car body parts to improve safety of the vehicle. 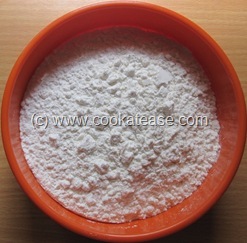 They have found that cornstarch can increase the crash resistance of cars. This can save the occupants of the car in case of an accident. Tata Motors is already using cornstarch based material in small cars for proto-testing. It is expected to be a reality by the end of 2012. Read more from Tata Group: Now, drive cars built on cornstarch. 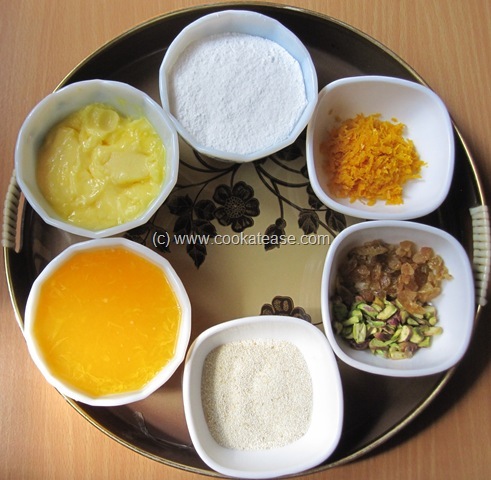 Cakes taste better when we add fruits. 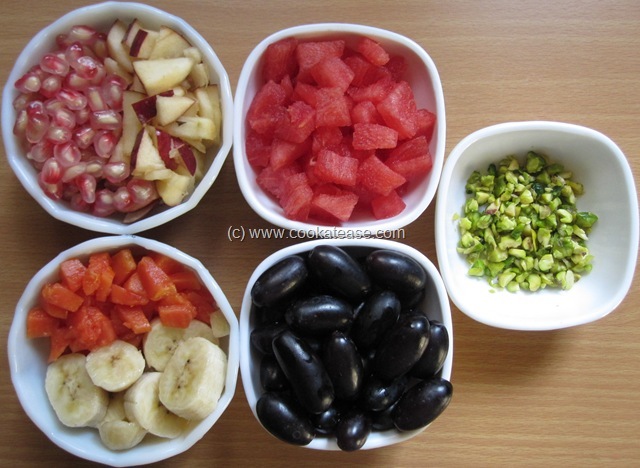 Fresh fruits make the cake softer and flavorful. Here I baked Eggless Orange Raisin and Pistachio Cake with fresh orange juice and orange zest. This orange cake was so soft and every member of my family loved it very much. 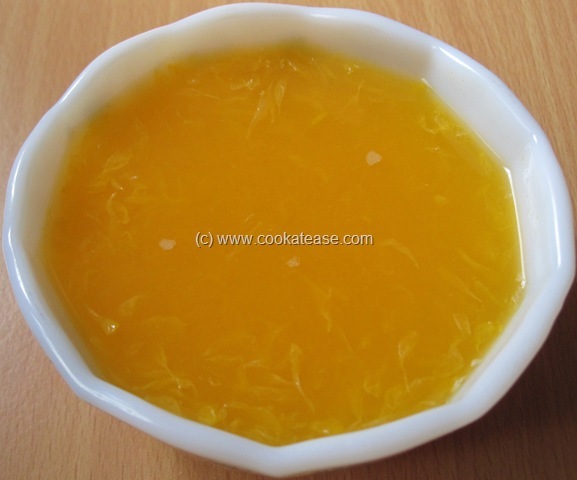 I used a fresh orange to extract juice and orange zest. 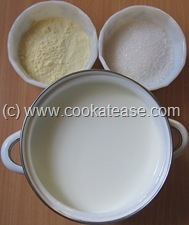 Tapioca pancake is easy to make as the ingredients needed are normally available at home. 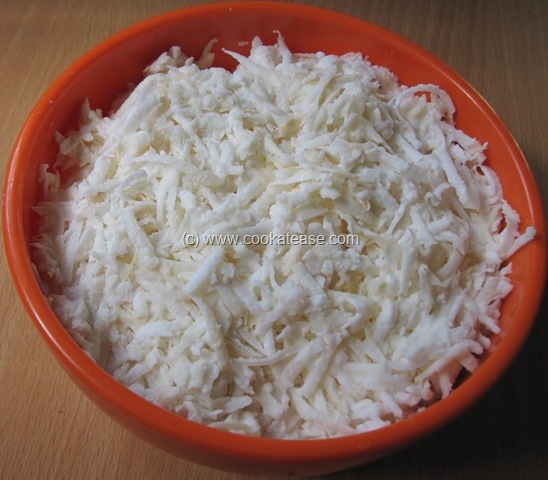 Tapioca is called as Kappa Kizhangu (கப்ப கிழங்கு) or Maravalli Kizhangu (மரவள்ளி கிழங்கு) in Tamil.